Hey everyone! We are super excited to announce the hosts and schedule for Cat Winters' THE CURE FOR DREAMING Blog Tour. The tour runs for two weeks, October 6th-10th and 13th- 17th, and consists of reviews, interviews, and guest posts. There will also be a tour-wide giveaway for a brand-new paperback edition of IN THE SHADOW OF BLACKBIRDS, a signed THE CURE FOR DREAMING poster, a copy of the CD containing the music that inspired THE CURE FOR DREAMING (Kristen Lawrence's ARACHNITECT), and swag. US Only. 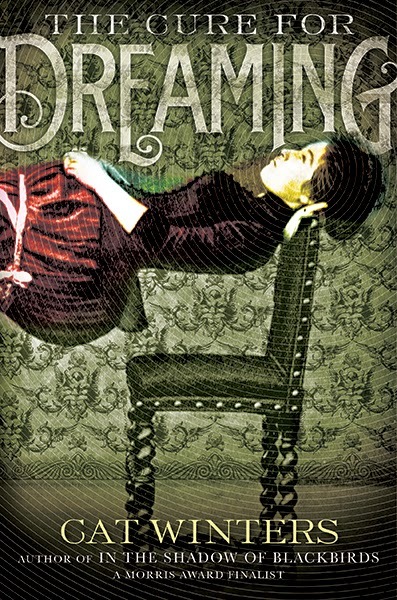 We can't wait for THE CURE FOR DREAMING to release Tuesday, October 14th, and for the tour to begin on the 6th.